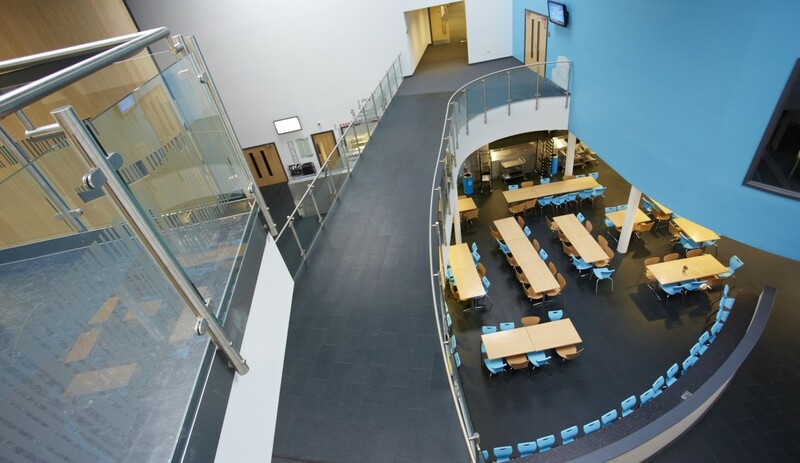 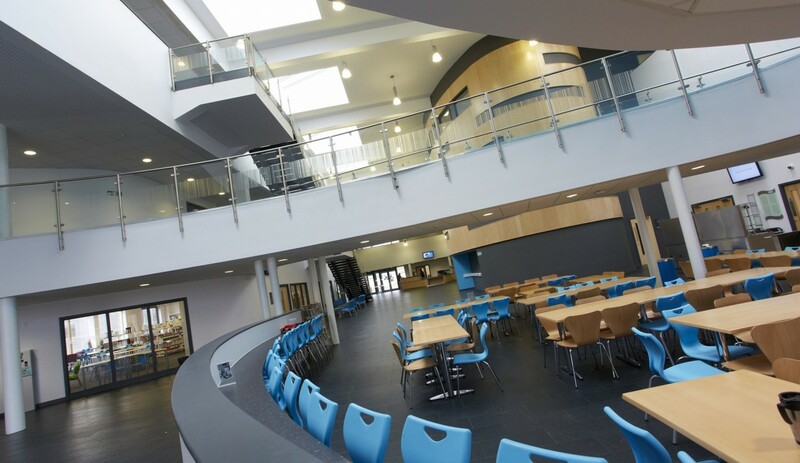 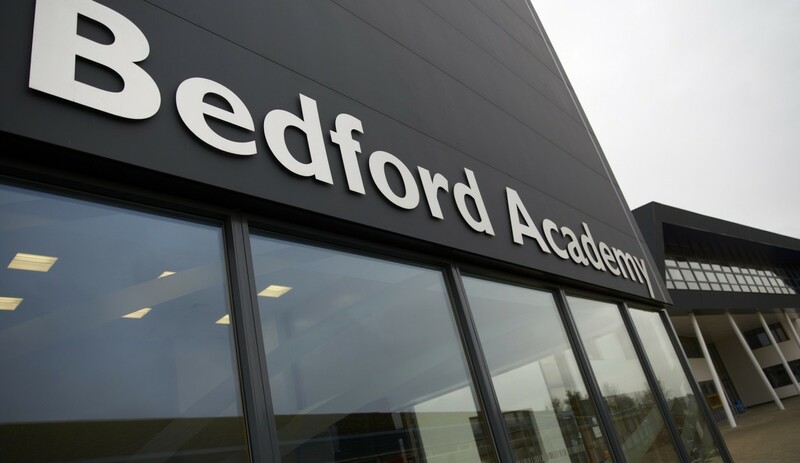 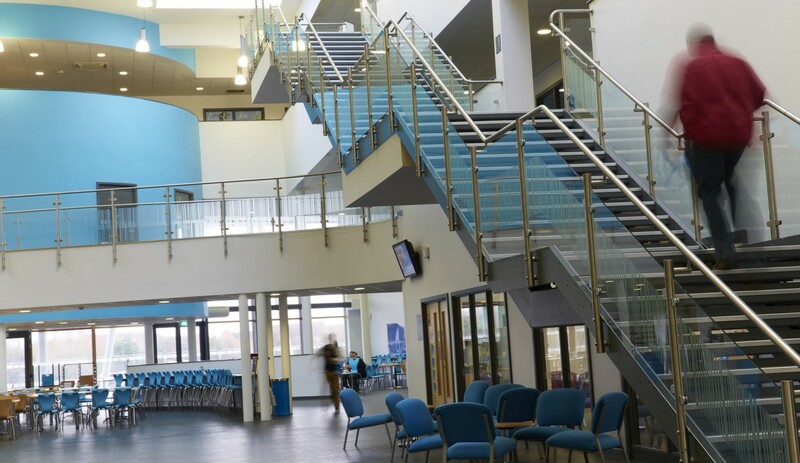 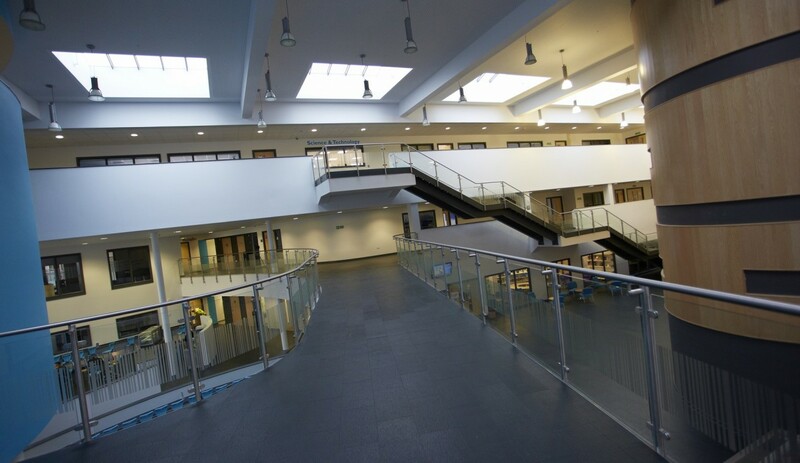 BA Systems were chosen by main contractor Willmott Dixon as a preferred supplier to complete the balustrade sub-contract on this major academy project in Bedford. 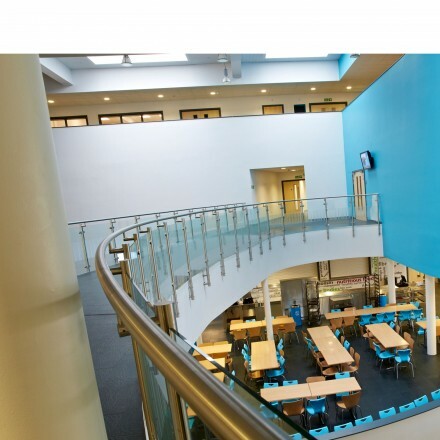 A rigorous programme of value engineering was required to help meet the budget. 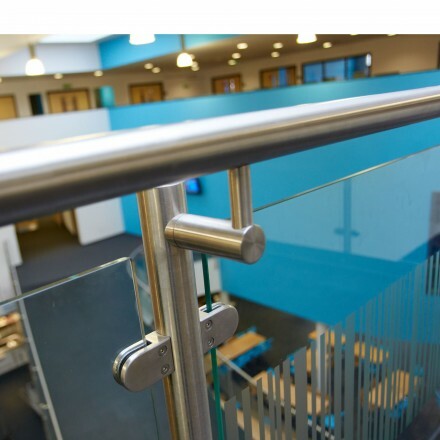 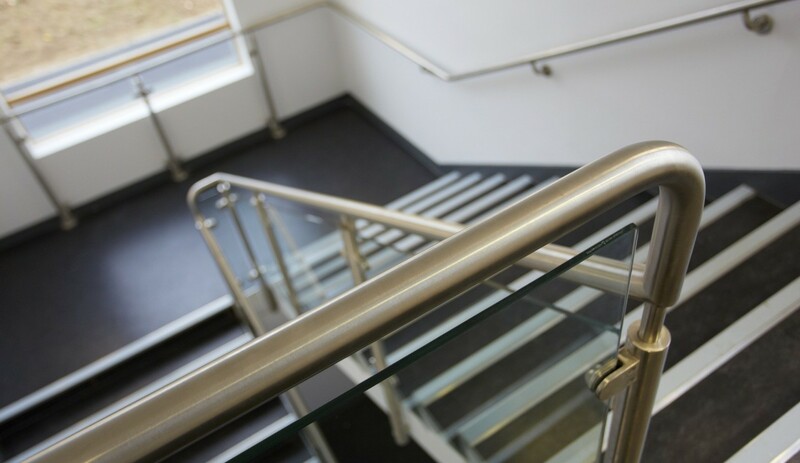 BA Systems were able to draw on their expertise and knowledge of all aspects of handrail design to offer a value engineered alternative to the specified product, with absolutely no compromise on quality, or safety and at the same time preserving the architects design requirements. 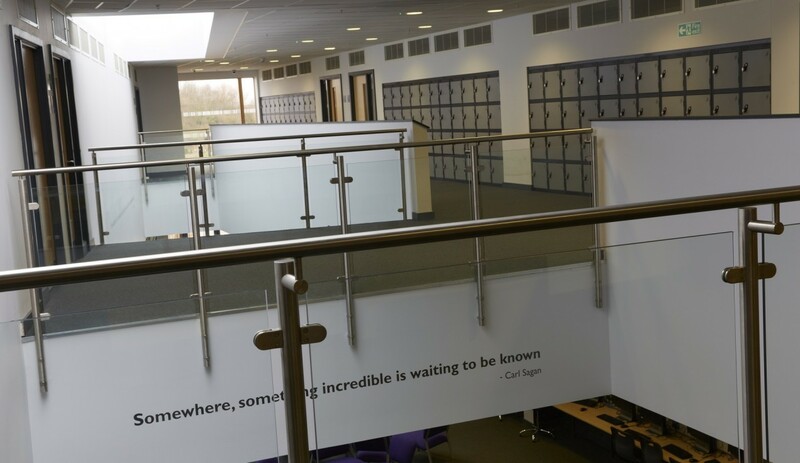 Along with the ability to understand and interpret the regulatory requirements and the ability to deliver on time and on budget were all major factors in their decision to partner with us on this highly successful project. 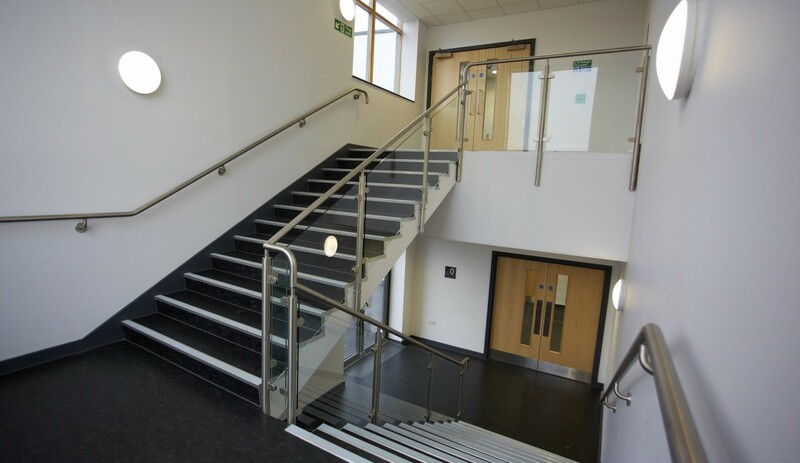 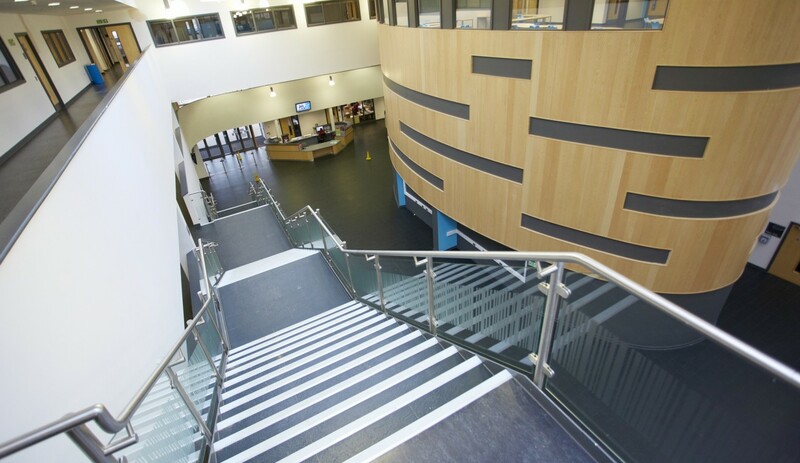 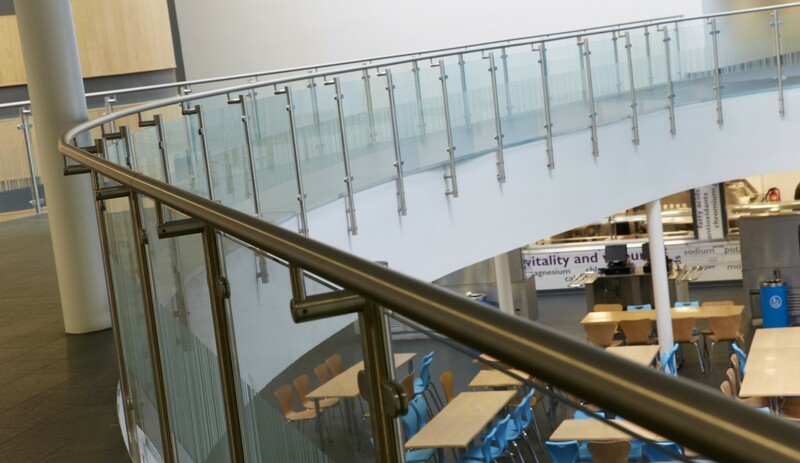 BA Systems B20 with stainless steel round handrail and glass infill panels was used across the seven staircases, central atriums and link bridges. 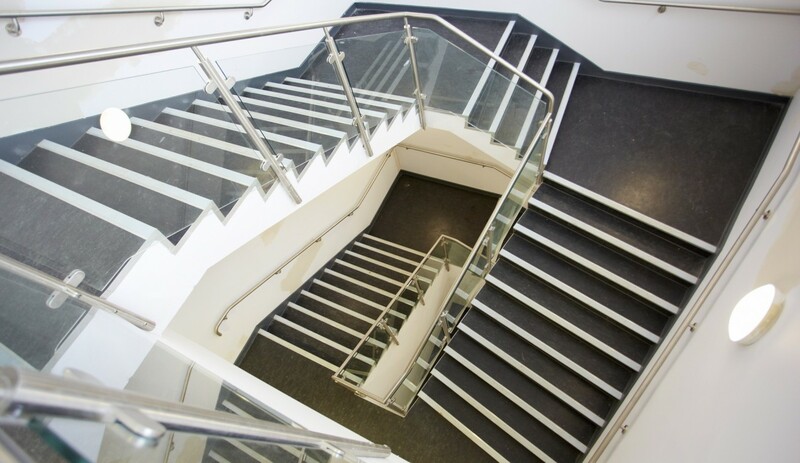 The overall result is clearly stunning, especially the feature staircase, and has left a very happy customer and client. 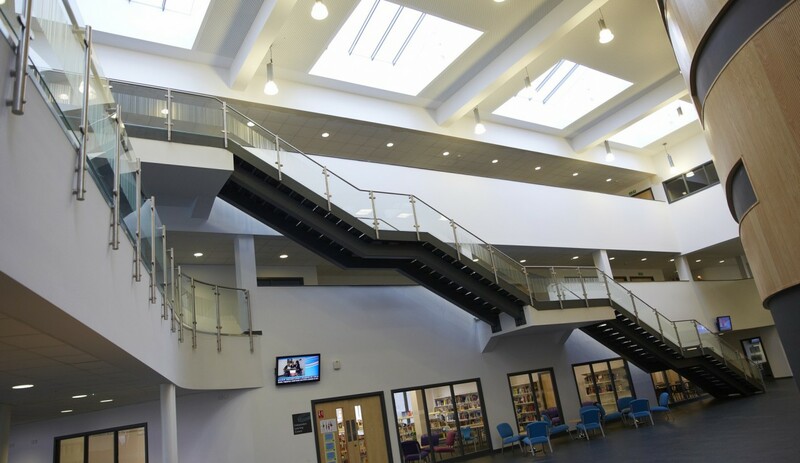 We provided a value engineered alternative to the specified product, with absolutely no compromise on quality, or safety and at the same time preserving the architects design requirements.